A late, late long range point from Cathal Freeman saw Mayo gain a valuable point in their league opener against Meath in Tooreen on Sunday afternoon. 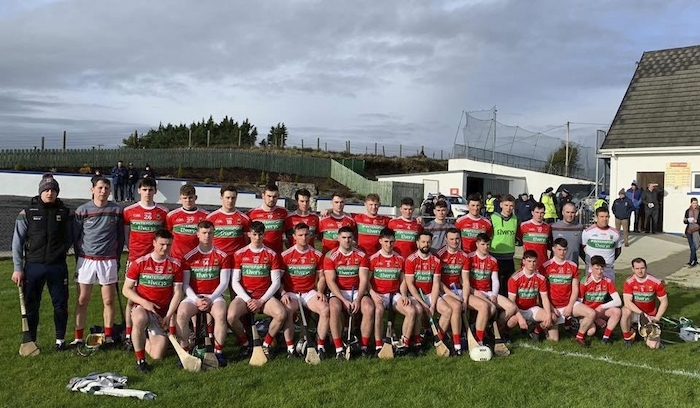 Mayo had trialed by six points ten minutes into the second half, but Derek Walsh’s charges dug deep to and stood up and left everything they had on the field to reel in the Royal County. This year sees Mayo plying their trade in Division 2A and they didn’t look out of their depth on a chilly but still January afternoon in east Mayo. Meath started the game the better and pushed themselves into a 0-4 to 0-1 lead ten minutes in with Padraig O’Hanrahan and Darragh Kelly splitting the posts with the two opening scores inside the first six minutes. Cathal Freeman responded for Mayo with a well taken score on the run, before Nick Fitzgerald’s men tagged on two more points from Kevin Keena and a O’Hanrahan free. Shane Boland who was a buzzing ball of energy all afternoon - responded with two points from Mayo as they began to find their feet in the contest to leave just one between the teams on 13 minutes. However Meath hit back in fine form reeling off three points on the bounce over as many minutes to go into a 0-7 to 0-3 lead. Mayo hit another purple patch and a brace of points from Boland along with one from Sean Regan cut the gap back to a single point again with 15 minutes left on the half. But it was Meath who finished the half the strongest adding on four more points to Mayo’s two from the in form Boland to leave the visitors leading 0-11 to 0-8 at the short-whistle. The Leinister men came back from the break in fine form and stretched their lead out to five points thanks to points from O’Hanrahan and Damien Healy - Kenny cut that gap back to four not long after, but quick fire scores from corner forwards Alan Douglas and Kevin Keena had Meath clear by six points with 25 minutes left on a score of 0-15 to 0-9. It looked like Mayo were going to need something special to get back into the game and Boland came close to bagging a goal 11 minutes in - but his effort was well saved by Shane McGann in the Meath goal. Fortunately for Mayo the action was called back for a free during the build up and Boland slotted over another point from the placed ball to go with the point he had scored a minute before to leave just four between the teams. From here on in Mayo really took control of the game and pressed Meath all over the park as they went to business hunting down the Royal counties lead. Eamon O’Donnchadha and Sean Kenny swapped points. Boland pointed from play and from a placed ball either side of Kenny 65 to leave Mayo trailing by one point on a score of 0-15 to 0-16 with five minutes of normal time left. O’Hanrahan edged Mayo two clear again on 67 minutes left, but Mayo weren’t for turning and sub Eoin Delaney brought the game back to a single point contest with a close range finish. Then Freeman showed his experience and leadership to drive the ball over the bar from play near the half-way line to pull the sides level for the first time since the start of the game. Mayo: S Leneghan; C Murray, C Daly, S Mulroy; C Scahill, S Coyne, D Kenny; B Hunt, C Freeman; S Regan, T Sweeney, A Phillips; S Boland, B Morley, S Kenny. Subs: L Hurley for T Sweeny (BS ), E Delaney for T Sweeney, D Huane for B Hunt, C Higgins for S Kenny, J Gallagher for B Morley, S Kenny for C Freeman. Meath: S McGann; G Murphy, S Brennan, S Morris; K Keoghan, S Whitty, J Kelly; J Keena, S Quigley; D Healy, P O’Hanrahan, D Kelly; A Douglas, S Kelly, K Keena. Subs: E O’Donnchadha for S Kelly, J Regan for D Kelly, M Healy for S Quigley.